HARLEM — It was still dark at the Polo Grounds Towers when Rev. Al Taylor and the other prayer walkers began gathering in front of the massive public housing complex last week. Every Thursday for the past 3 1/2 years, in all weather and even on Thanksgiving, Taylor, 54, and other men who are part of a group called Man Up in Harlem have met at 6 a.m. at the 155th Street and Frederick Douglass Boulevard subway station. They then walk through the neighborhood, praying for their community. With their arms around one another’s shoulders, the men huddle up in front of bodegas, under tressels and in the trash-strewn lobbies, playgrounds and dark corners of the Polo Grounds. They pray for an end to violence, they pray for the police, they pray for jobs, they pray for people facing eviction and they pray for mothers worried that their sons coming home from prison will return to the activities that sent them there in the first place. “We know the power of God is awesome and (He) can do what no one else can do,” Taylor, a married father of five, said on a recent Thursday morning. 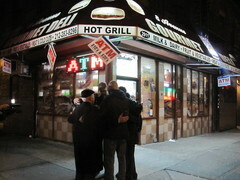 The prayer walks started after a spate of violence at the Polo Grounds three-and-a-half years ago. The gigantic complex consists of four 30-story tall buildings over 15 1/2 acres with more than 1,600 apartments and 4,000 residents. At least three people were killed there over the span of a few months. Another man was doused with gasoline and set ablaze in the lobby of one of the buildings. The violence was so alarming that Taylor, who is the pastor of the nearby Infinity Mennonite Church on Adam Clayton Powell Jr. Boulevard, decided that something needed to be done. 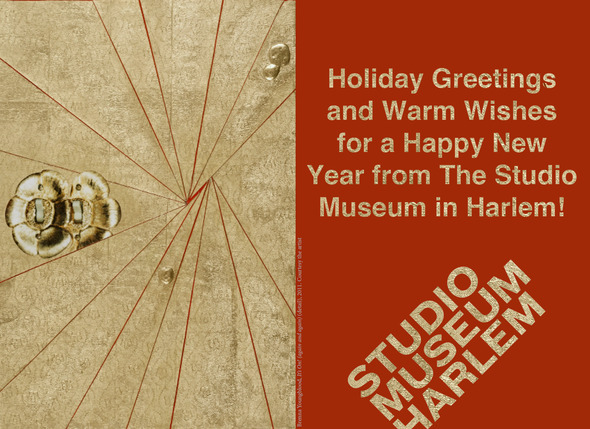 Happy Holidays from the Studio Museum!